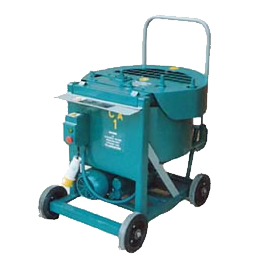 The CreteAngle® Multiflow Pan Type Mixer Model 'CF 35' has been designed for Rubber Crumb for small works and on site repairs, and anywhere small quantities of mix are required consistently and quickly. A Pan Tipper can be fitted allowing the material to be emptied directly into any suitable container. 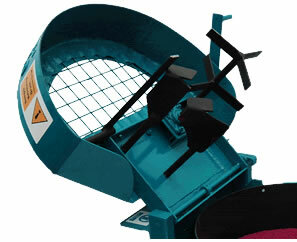 The mixing pan and blades are guarded with a Safety Headguard supplied with the mixer. The Headguard has a mesh aperture through which additional material may be added and the mix viewed.